Ah, the leather couch. The throne, the seat, the ultimate laziness enabler, and the substitute bed for when your wife (or husband) kicks you out because you reek of beer and whatever else you fell into, yes the couch. Was there ever a better invention than this? We all love having one, so let’s run through a few leather couch care tips, shall we? The material we are working with is leather. Hence there will be do’s and don’ts. Let’s begin with the most obvious and most practical way to take care of a sofa (amongst a plethora of other things, actually); cleaning! Wipe leather furniture down regularly with a clean, dry cloth. A microfiber cloth is recommended. Adding this to the usual cleaning routine would be very beneficial, as dust tends to build up quickly. Avoid hard, abrasive brushes or scrubbers as this can scratch and damage the leather. For more stubborn dust build-ups, you may use a cloth dampened in distilled water. Also, it is important to note that if you have to repair a leather couch tear, this is the first step. Don’t use soap or detergent, no matter how mild. We can use mild soap on our skin because our skin is still alive and will replace the oils that soap washes off, but a leather sofa doesn’t have that ability. It will eventually become brittle, dry and damaged. Why not wash with soap and then apply oil? Because the oil will stain the leather. Remove large debris with a vacuum. Using the vacuum’s hand tool, remove any debris from the sofa. Focus around the creases and folds of the couch. This actually also applies to how to clean sofa. You may use the vacuum’s brush attachment but make sure it is the soft bristle! There are hard bristle brushes that were made for the floor, not your spare bed. Err, the couch! Attach the brush tool to the vacuum’s hand tool and run the brush over the leather of the couch. The brush bristles are soft and less likely to scratch the surface of the sofa. You may want to refer to the suggested cleaning solution. When buying a couch, sometimes it comes with a manual, a “how-to-clean” tag, or you may also directly consult with the manufacturer or sales attendant. This is to be on the safe side. In almost all other areas of life as well, one can never go wrong consulting the manual! Also, DO clean major spills and stains immediately. Once that nacho dip falls, wipe it off! You might be surprised at how tough a stain can be once you’ve allowed it to settle. Worse case scenario is that it would attach itself to the leather, and become inseparable and you will just have to live with it. If you spilt acid, however, that is another story! While you may also opt for a cleaning solution specially made for leather, or create your own solution from a mixture of water and white vinegar, it is highly recommended that you don’t just dump any solution without prior research. 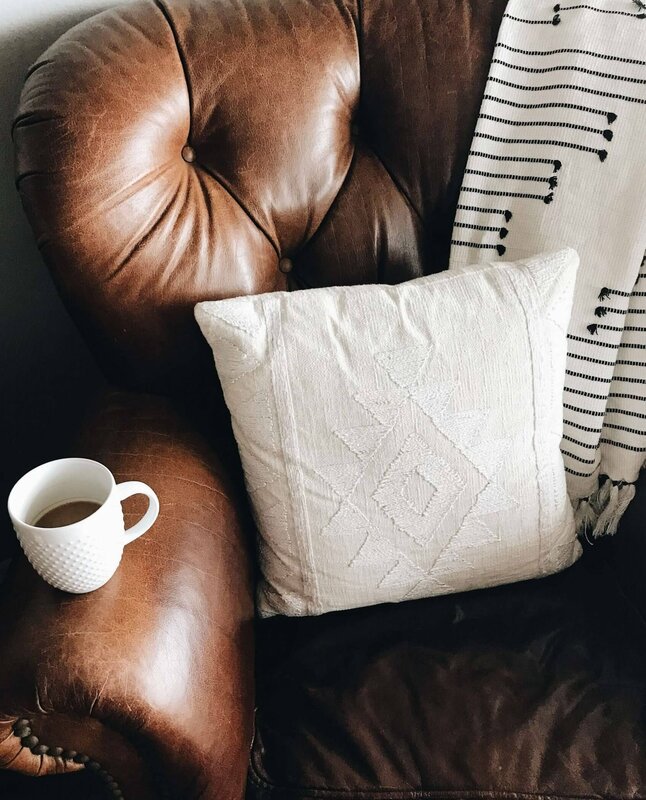 If you’re purchasing commercial leather cleaner, avoid detergents, solvents, and any cleaners that contain ammonia, bleach or sodium laurel sulfates (SLS), as these can damage or dry out the leather. Let’s try not to damage it when all we wanted to do was to clean it. A quick and easy trick to do this is to spot test the cleaning solution on a hidden part of the sofa before applying it to a conspicuous area. If the cleaner doesn’t cause damage or discolouration, apply it to the stain using a microfiber cleaning cloth. Rub lightly to avoid spreading the stain, rinsing and wringing excessive water from the cloth as you go. If your leather sofa has any mould or mildew stains, simply fill a spray bottle with equal parts vinegar and water, spray the mixture lightly onto the area, and wipe the stain quickly, so it doesn’t get too wet. Apart from the cleaning schedule, you may also want to give your couch a conditioner wash. Owners may begin maintaining their leather furniture by procuring all the necessary tools. An abundance of cleaning products can be found in many retail locations. Supermarkets are likely to have plenty of options. Even pharmacies might also carry leather cleaners and conditioners. Department stores are an excellent source of cleaning products and other helpful items, such as lint-free cleaning rags and extendable dusters. Stores that exclusively sell leather goods will certainly offer various maintenance products. Saddle shops, which specialize in equestrian gear, generally have a supply of leather cleaners which could also be used on furniture, and they often sell buffing tools as well. Many online retailers also carry these items. Buyers who want to compare some available products can also shop online auction sites like eBay or Amazon. If you ever want to apply a leather dye to maintain its colour, Don’t use a different colour. Unless that’s the result you purposely wish to have, find the same colour or at least its closest next of kin. When peeling occurs over time, one should fill the areas where the leather has peeled off with heavy filler. When you purchase a leather repair kit, this usually comes with all the materials you would need to accomplish this step. Do not fill it with just any material. Stick to the recommendations as to hinder any further/future damage. You’ll find a demonstration of exactly how this should play out here. Here are the facts that will have you making your next purchase in complete confidence. The fact is, leather furniture is something you buy for a lifetime. Since leather is a natural product, ageing brings out its natural patina, making it even more beautiful over time. And since leather furniture is something you can enjoy for years to come, this is a purchase that makes a sound investment. Leather is the sturdiest material of them all! Avoid placing leather furniture in direct sunlight. Virtually nothing is safe for long in the light and heat of the sun. Avoid extreme temperatures that would cause leather to dry and crack. If you’re too cold or too hot in a room, so is the leather. Don’t place leather next to air conditioners or radiators. Leather furniture is only for the rich! Even though leather furniture brings your home a luxurious look and feel, you don’t have to be rich to enjoy leather furniture. Because leather wears in and fabric wears out, you’ll find that leather lasts much longer than fabric and can be a better value. People who would like their leather furniture to have a long and healthy life should protect the furniture from unnecessary wear and tear. Just because it’s durable, doesn’t mean it’s invincible. Following the above tips and processes might not make your sofa indestructible, but it will save you from buying a new one every so often. Maintaining and caring for a leather couch might sometimes feel like a chore. But, as with almost everything else in the house, it adds so much value to your lifestyle that it should not be neglected!